Where did you learn to pray? At your mother's knee? From the nun or brother who taught your religion class? Has your understanding of prayer matured since then, or do you simply pray, year after year, as you were taught as a child? No wonder most people have so many erroneous notions about prayer. No wonder our prayers are still far from what they should be! The saints: why all Christians should pray to them - and with them! "Vague cosmic worship" - has it crept into your prayers? 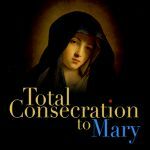 The Rosary - just how much of it should you be saying? The posture of prayer - should you pray sitting, standing, or kneeling? It makes a difference! The Psalms, adoration, liturgical prayer…and much more! 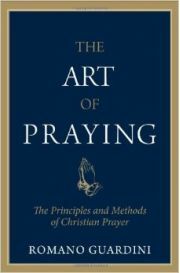 Simple, direct, and profound, The Art of Praying is a helpful guide for the average person in the pew…and even for those rare few who are far advanced in prayer. "An inspiring prayer guide for us all! Highly recommended." "Long ago, Guardini helped teach me to pray. I rely on his thought." "This book by a true man of prayer has helped me pray better."